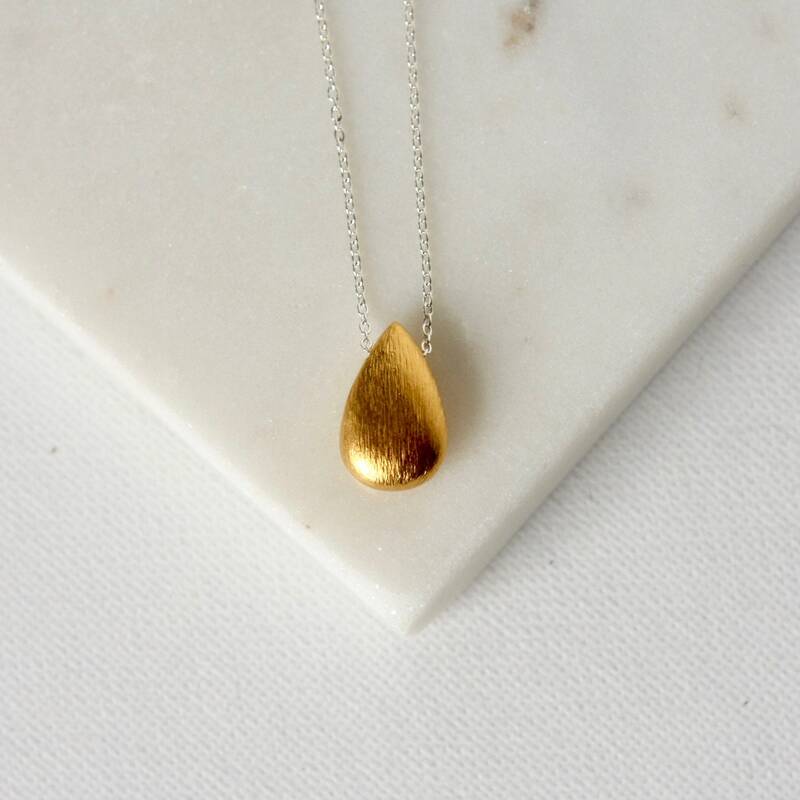 Beautiful in its simplicity! 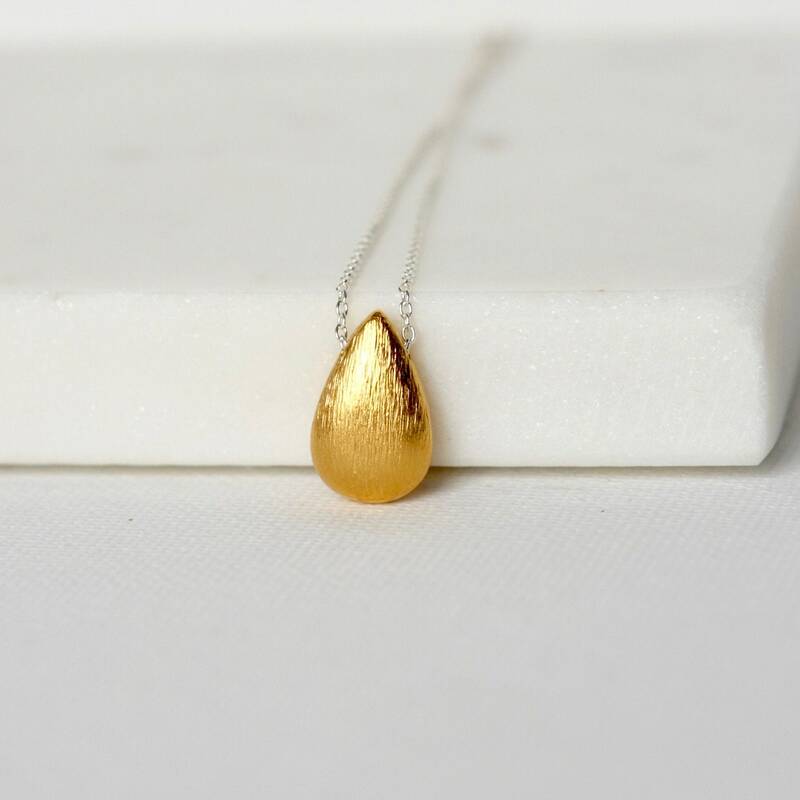 This necklace features a brushed 14mm gold vermeil teardrop free floating on sterling silver cable chain. 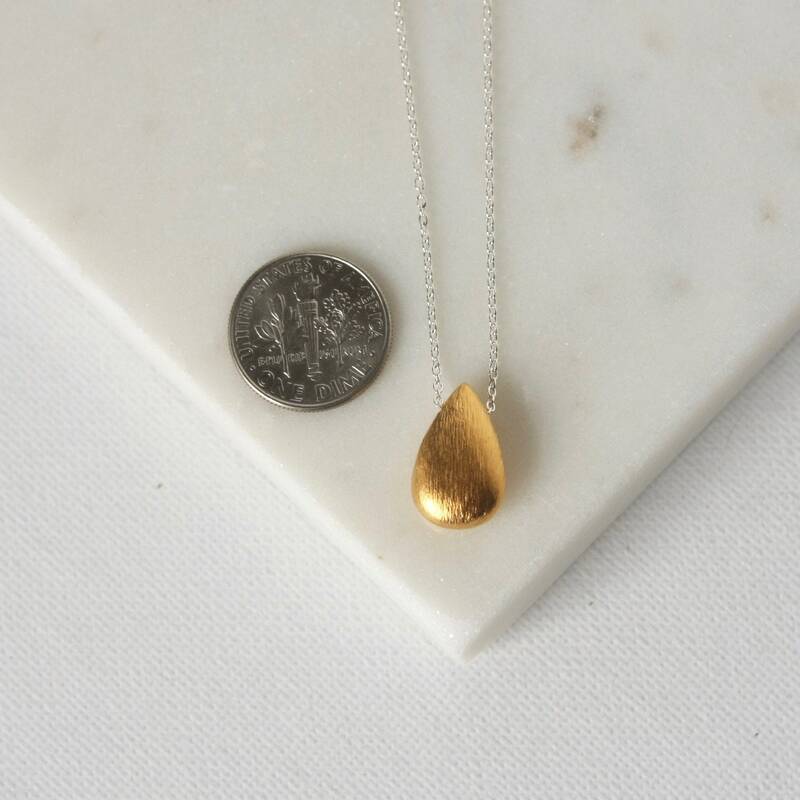 The pendant has a beautiful warm shine to it and the contrast of the metals really makes the gold pop. 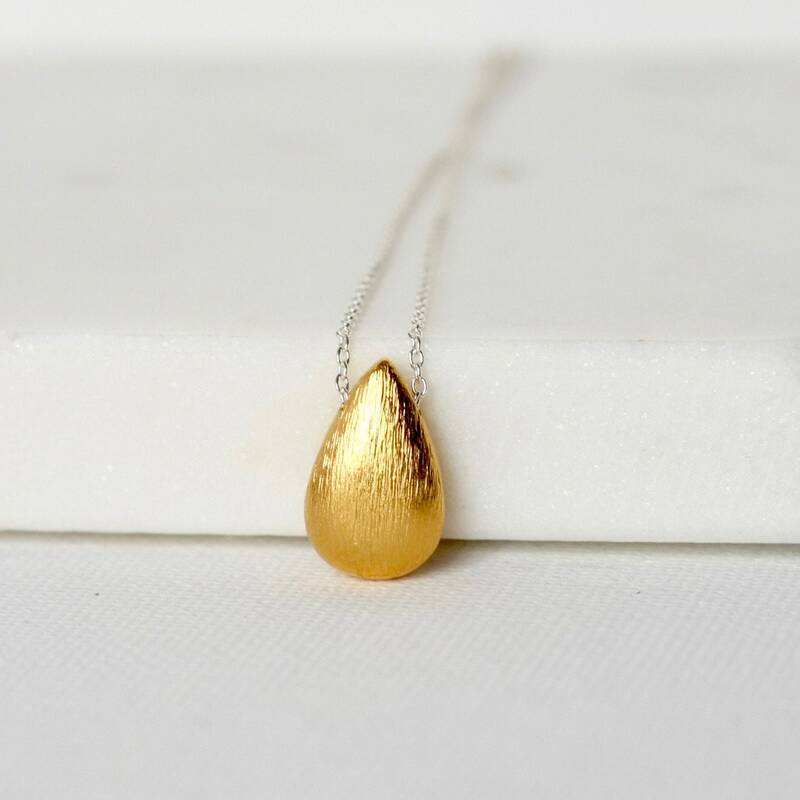 It's finished with a sterling silver spring ring clasp and you can choose your desired length from the drop-down menu above. 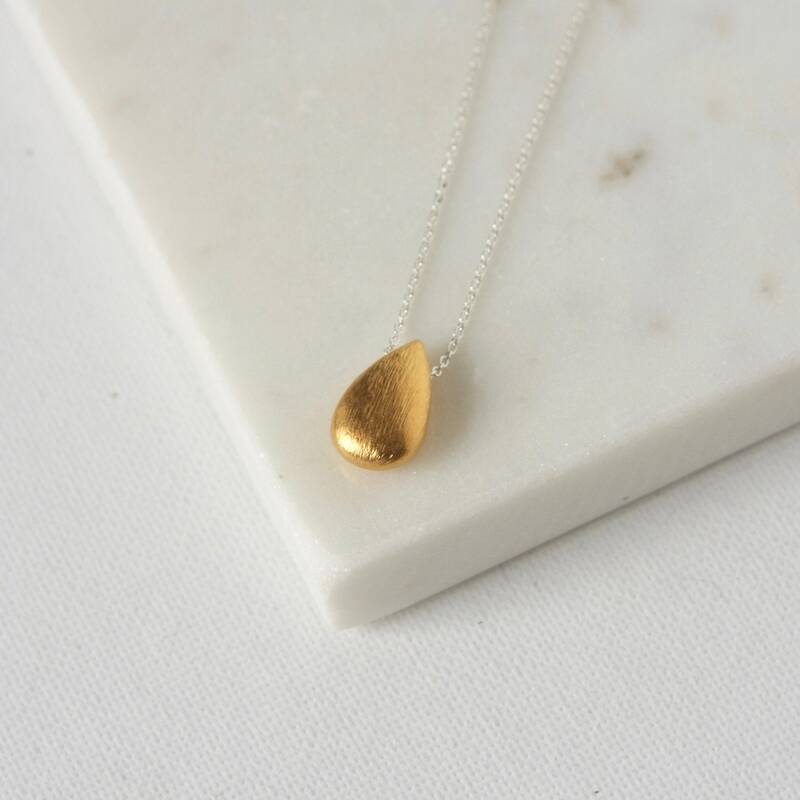 It's lovely on its own or paired with other necklaces for a stylish trendy look.